Though many politicians and known names see natural gas as a transition fuel and have been proposing a shift to natural gas as an effort to clean up the environment and to preserve our resources, the findings of a study released on Wednesday casts doubt over such forecasts. Cheap and plentiful natural gas isn’t quite a bridge to a brighter energy future as claimed and won’t slow global warming, this new study predicts. It concludes the increasingly abundant natural gas, most of it from hydraulic fracturing or “fracking” operations, will do little to slow climate change or reduce global greenhouse-gas emissions. “Abundant natural gas alone will not rescue us from climate change,” says Haewon McJeon, an economist with the U.S. energy department and lead author of the report in the journal Nature. The gas boom could even delay decarbonization of the global energy system and slow the move to clean alternatives, the study suggests. Previous studies have predicted using natural gas instead of coal could reduce global CO2 emissions, while others have indicated the “fugitive” emissions associated with fracking and natural gas extraction may increase global emissions warming the climate. “It doesn’t reduce climate change,” said author McJeon. Five teams of experts from around the world, using five different sets of computer model simulations, looked at what would happen if natural gas — also known as methane — remains cheap and plentiful and nothing else changes, such as policy mandates. They all came to the same conclusion. Two computer models even found that when considering other factors like methane leaks, cheaper natural gas could lead to more trapping of heat by greenhouse gases, the mechanism that drives global warming. 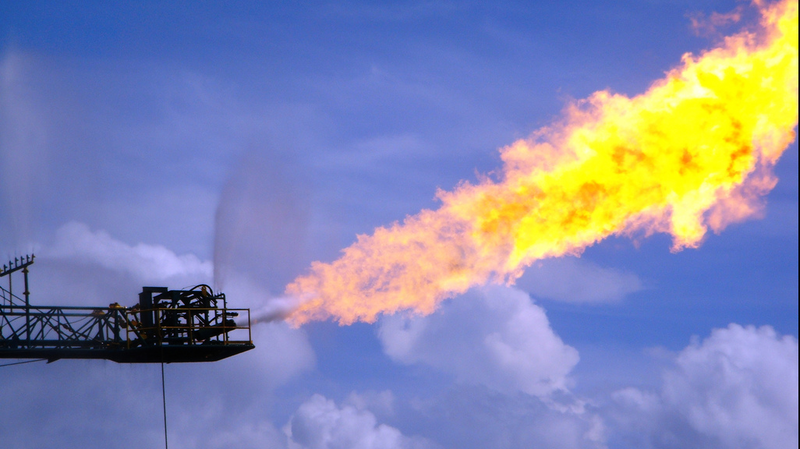 Methane traps even more heat than an equivalent amount of carbon dioxide. But because the models differed so much on that projection, it is hard to conclude that more natural gas will worsen the problem, McJeon said. “The scary thing about this paper is that it does make sense,” said Gregg Marland, an expert in tracking fossil fuel emissions at Appalachian State University in Boone, North Carolina. Marland, who wasn’t part of the study, said the combination of leaking methane and displacing cleaner fuels is a problem. The results are similar to an earlier study by Duke University professor Richard Newell, who used to head the federal government’s Energy Information Administration. U.S. Energy Secretary Ernest Moniz last year in a town hall credited the natural gas boom with helping the United States decrease its carbon dioxide emissions over the last few years.